Is a versatile type of scaffold consisting of steel tubes and clamps, in some countries also called Tube and Clamp. Vertical tubes are connected to horizontal tubes. Diagonal tubes are connected to the scaffold via swivel clamps in order to stabilise the structure. Our NZ qualified scaffolders design and guarantee safe and steady scaffolds that make your jobs easier and more efficient. We respect your construction site, knowing that a tidy site is a safe site. Our team of New Zealand qualified scaffolders bring a can-do attitude when setting up and taking down scaffolding and shrink wrap site encapsulation. Our team consistently delivers on our company values – safety, compliance, reliability, professionalism, friendliness, efficiency and honesty. You can be assured that there are no hidden costs or nasty surprises with a Supercity Scaffolding quote. 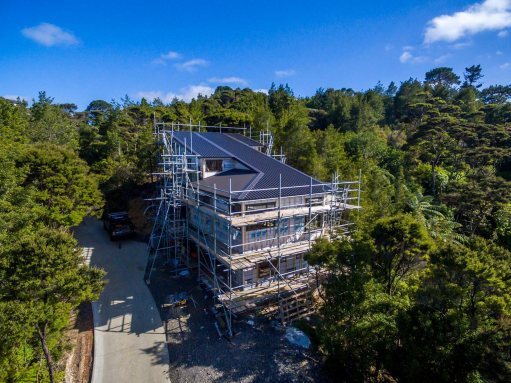 We have worked on many Auckland scaffolding projects covering: Rodney, West Auckland, North Shore and Central Auckland areas. Talk to us if you’ve got a job outside of these geographical boundaries as we might still be able to help you.